that shines through her! She is absolutely amazing and a gift to have the honor of knowing. and the recipient of the Lifetime Achievement Award. Jennifer was born with Arthrogryposis (AMC). AMC occur once in every 3,000 births. At birth, doctors suggested that Jennifer's limbs be amputated but her father refused. From birth through age 8, she went through several major surgeries to improve her mobility. She had already proven the doctors wrong by learning to write, stand to transfer and swim. Jennifer's inabilities have never stopped her from breaking barriers, overcoming adversity and living her life to the fullest. She is the oldest of six children and was raised in a family that saw her differences as something that made her unique. Being a child with a disability outside of her home wasn't as easy. There were many prejudgments Jennifer faced growing up. Jennifer discovered her passion for music and theater by the time she was in kindergarten. She began singing in the church choir at Holy Innocence Catholic Church in Long Beach at age 6. After realizing that singing was something she enjoyed, she joined local theater groups and school choir and even played drums in the orchestra. Being a professional singer and performer was a secret dream of Jennifer's. 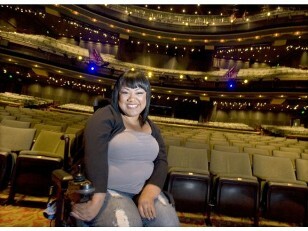 She didn't think that society would accept a performer in a wheelchair. When it came time for Jennifer to go to college she decided to pursue music education. 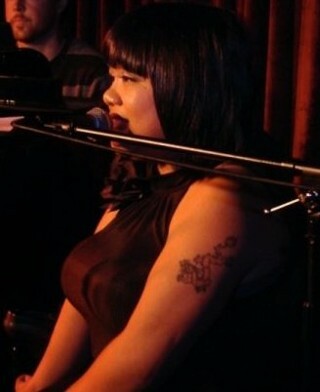 This still allowed her to study voice as she did at Riverside Community College. 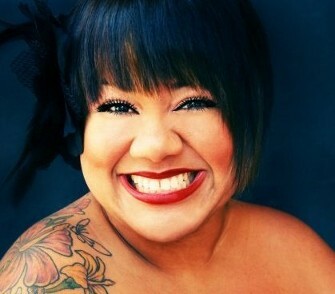 In 2000 Jennifer moved and continued her education at Long Beach City College and voice lessons at CSULB. After two years of doing something she wasn't passionate about, Jennifer decided to branch out into the performing world and audition. Her first audition was for Warner Bros. Reality TV Show "PopStars2". 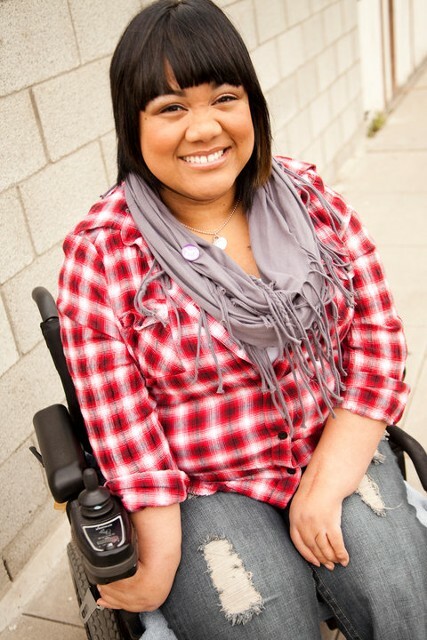 Jennifer made the first two episodes and created a buzz as "the girl in the wheelchair" in TV Guide, Variety Magazine and other local papers. Jennifer's confidence and will to live her dream grew and she began taking more time to audition. In 2002, after an extensive audition process, Jennifer was cast by internationally recognized director of opera and theater, Francesca Zambello, in Disney's "Aladdin; A Musical Spectacular", making her the first performer in a wheelchair in a Disney Theme Park. 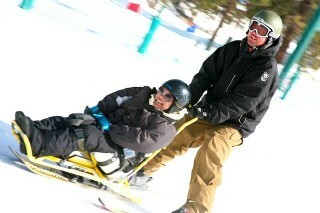 Jennifer represents the disabled community to 8,000 people a day. She is proud to bring inclusion of the disabled community in an able bodied world. She continues to perform and had done so in venues such as the Stella Adler Theater, the Staples Center and the Kodak Theater. As the First Runner Up for Ms. Wheelchair California 2009, Jennifer was blessed with numerous opportunities to educate California on it's vast disabled community sharing with them "just how able we are". She has even had the opportunity to do fun and awesome things. 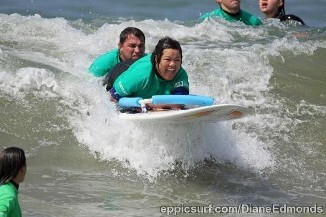 She helped Habitat for Humanity of Los Angeles build a home in Downey, surfed with Life Roll On, and has spoken to the East Fresno Kiwanis Club, Disney's CastAble Group, Boeing and parents of children with Arthrogryposis. She is also Chief Editor of Disabled Guides for notanotherguide.com, providing online travel guides for visitors with disabilities. Jennifer is involved with the Special Olympics in Long Beach as a performer and in Orange County as Stage Manager for the fall Opening Ceremonies 2009. She also received the "Jerry Stein Independent Living Award" this year through the Disabled Resource Center in Long Beach, California. Jennifer was recently crowned at the Abilities Expo in Los Angeles, California. 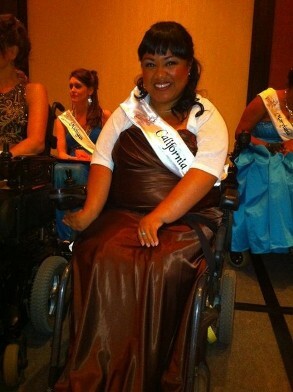 "It is an honor and a privilege to represent the disabled community of California." She represented California at the Ms. 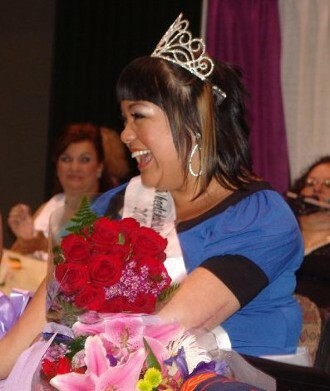 Wheelchair America Pageant in Grand Rapids, Michigan. Jennifer came back the 1st Runner Up to Ms. 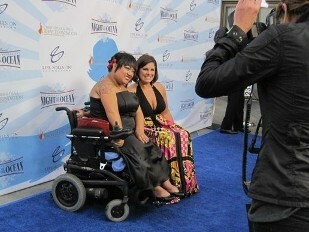 Wheelchair America and the recipient of the Lifetime Achievement Award. Jennifer currently resides in Long Beach California. In her free time she enjoys painting, road trips, surfing & spending time with family & friends. "I want to continue encouragement to those with disabilities so they they may empower themselves to break barriers & turn their own dreams into reality. With faith in yourself & determination, it can all happen."